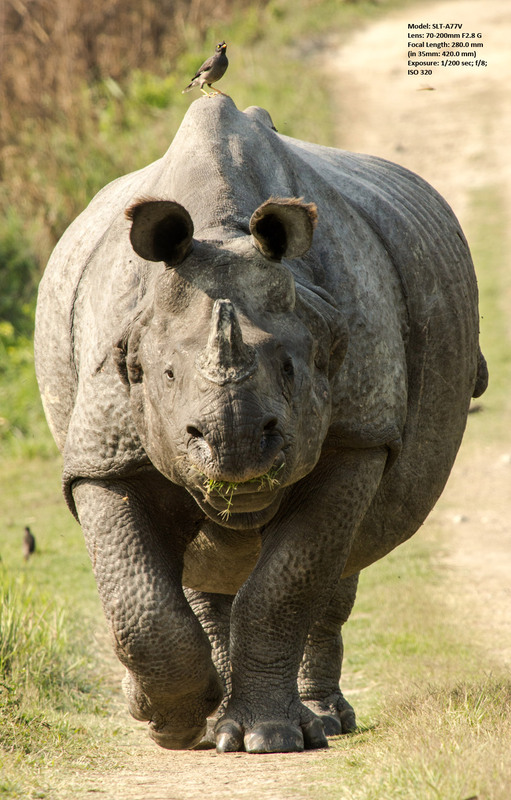 Located on the banks of the mighty Brahmaputra and home to the largest population of One-horned Rhinos, Kaziranga National Park is a veritable delight for naturalists, wildlife lovers and photographers; its vibrant, well preserved and sustained biodiversity make it one of the country’s most loved and visited natural reserves. Very few places in Asia can match the numbers and density of large mammal populations as one may see in parts of Africa. Kaziranga National Park in Assam comes close though. 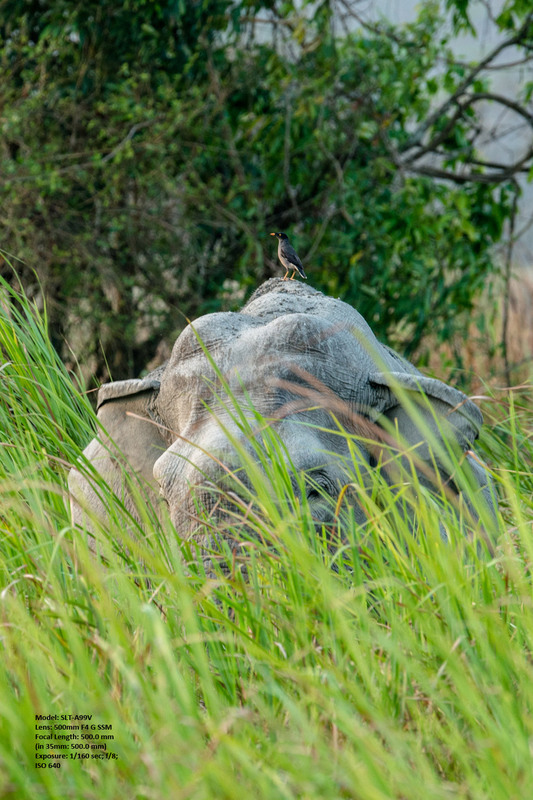 One of the oldest nature reserves in India, Kaziranga was formed in 1904 to protect one of the last surviving populations of the Greater One-horned Rhinoceros. It was Mary Curzon who persuaded her husband Lord Curzon, the then Viceroy of India, to take steps towards the conservation of rhinos after failing to see even a single one during their visit. 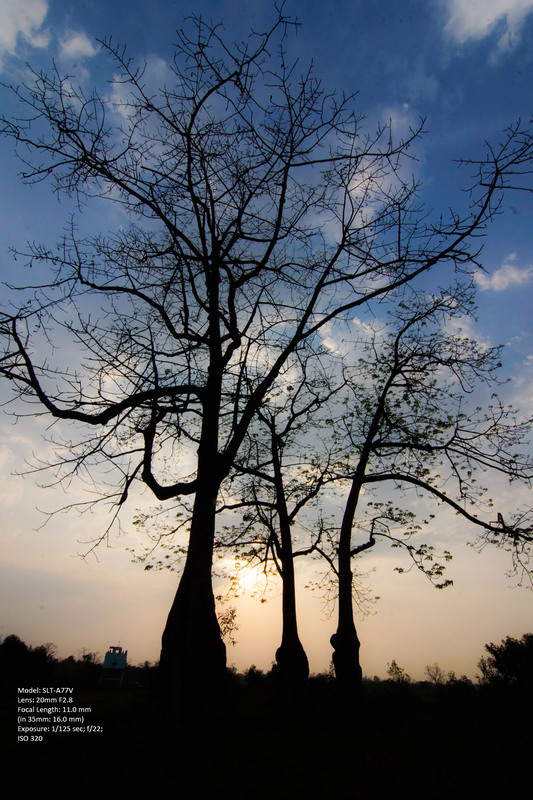 This led to the formation of the Kaziranga Proposed Reserve Forest in 1905. It was a mere 232 sq km back then. 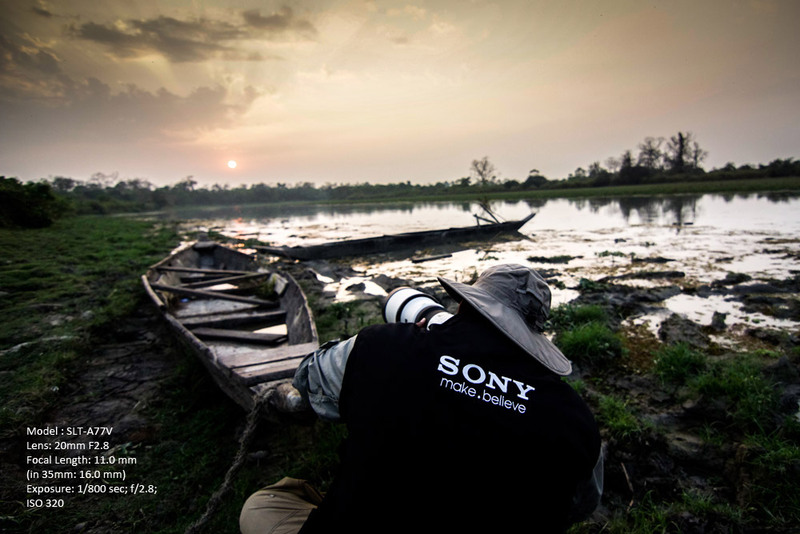 Several years and numerous upgrades later, the Kaziranga Tiger Reserve today spans over 1000 sq km. The Indian or the One-horned rhinoceros (Rhinoceros unicornis) is the fifth largest land mammal in the world and the second largest in India and Asia, after the Asian elephant. Of the five species of rhinoceroses found in the world, only two have a single horn—the Indian and the Javan rhinoceros, while the remaining three species have two horns. 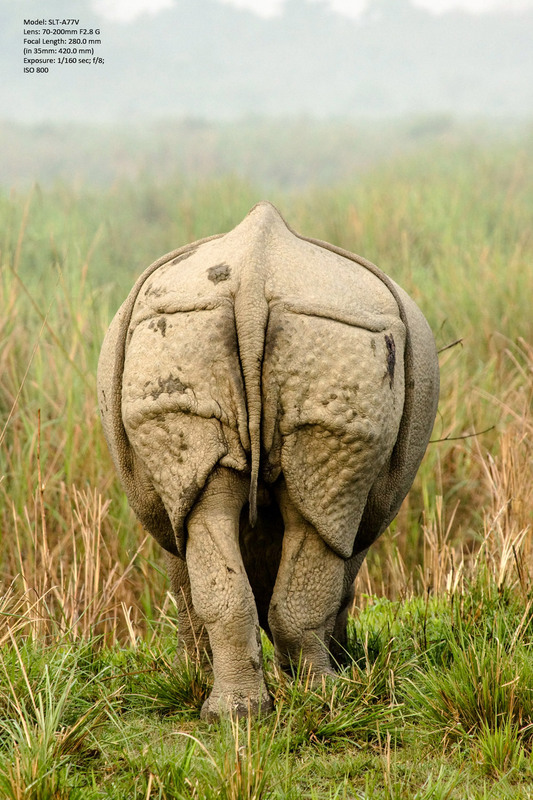 The thick skin of the Indian rhinoceros is folded heavily in parts and covered with warts on the shoulder and hips, giving it the appearance of an armour. Elephant grass (Saccharum ravennae), like the name suggests, can hide an entire adult elephant. A Jungle Myna (Arcidotheres ginginianus) uses the only visible part of the tusker as a watch post to overlook the grasslands of Kaziranga. The capped langur (Trachypithecus pileatus) is yet another primate threatened by habitat loss. 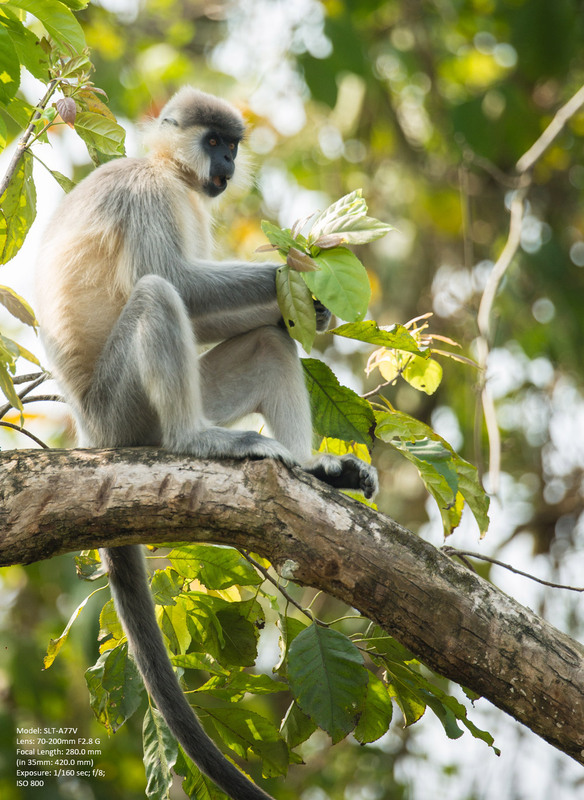 Small differences in colouration distinguish the four subspecies of the capped langur, but the species as a whole is recognised by the dark grey to black fur of the back, fading to creamy white or golden yellow on the belly. 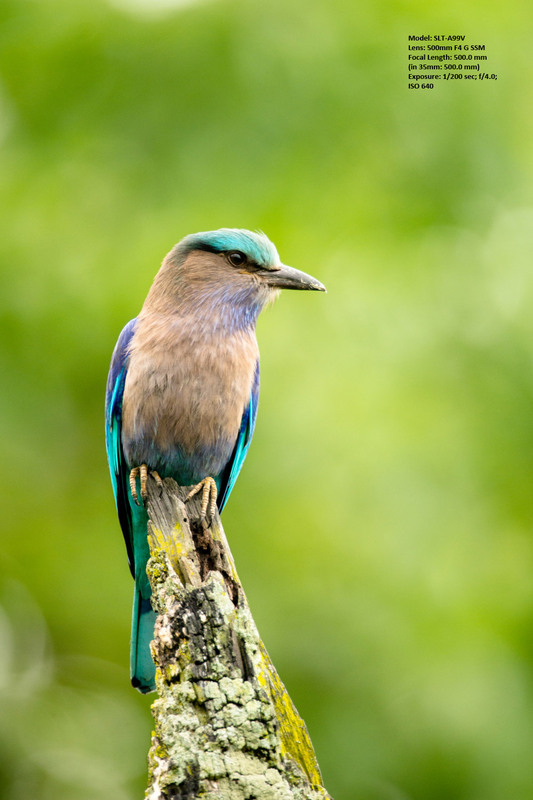 The Indian Roller (Coracias benghalensis) prefers the grassland habitat with plentiful insects on the menu. The affinis variety of the roller found in Northeast India is darker as compared to the nominate variety found in peninsular India. 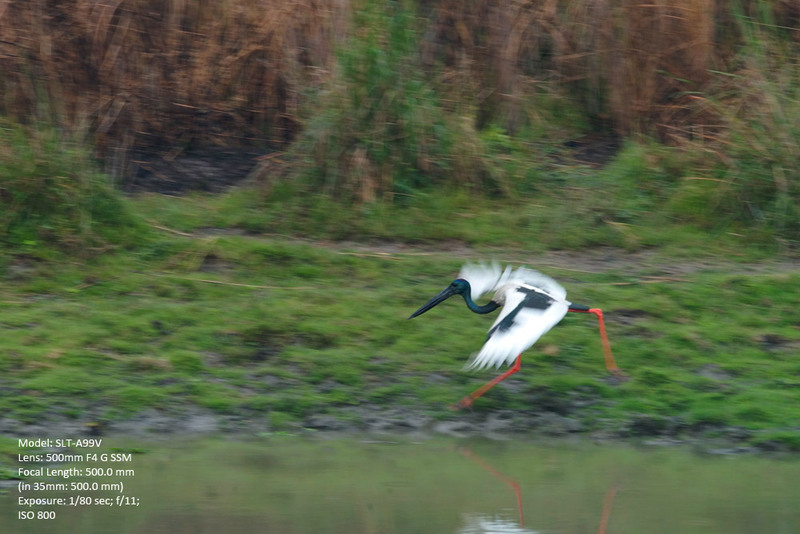 Drainage of wetlands is threatening the habitat of numerous species like the Black-necked Stork (Ephippiorhynchus asiaticus). The population of this bird has reduced drastically over the last few decades and is now considered to be nearing a threateningly low number. YOUR PHOTOS ARE SIMPLY ARE AMAZING. 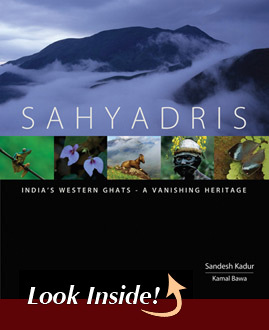 YOUR JOURNEY FROM THE SMALL TOWN OF KADUR TO THE WORLD AT LARGE IS INDEED A VERY FASCINATING STORY. 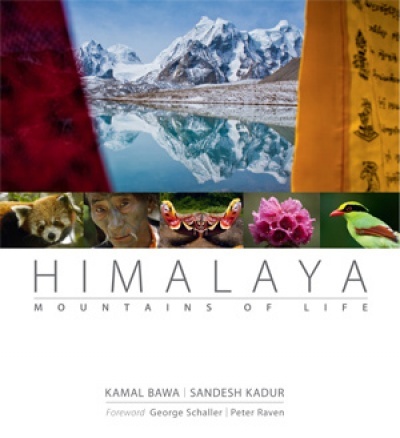 MY GOOD WISHES FOR YOUR YOUR CONTINUED ENDEVOUR TO BRING THE WORLD’S WILD PLACES TO THE AWARENE3SS OF GENERAL PUBLIC. I WILL LOOK FORWARD MORE EXCITING PHOTO ADVENTURES FROM YOUR CAMERA. I WAS ALWAYS FASCINATED IN NATURE AND WILD LIFE. MY WARMEST CONGRATULATIONS AND GOOD WISHES IN YOUR ADVENTURES. Many thanks Mr. Rajashekhar. It was good to meet & speak wt you at UB city as well! Many thanks for coming by and glad you like the books!